A collection of 20 short stories of the crime, detective, and thriller variety, sharing a common theme of .... you guessed it, revenge, and often with surprise conclusions. Elements of the style of Alfred Hitchcock may be found among many of the tales. Turn down the lights, let the imagination wander as it will, and perpare to expect the unexpected. . . .ebrated hotel (pension rates for a stay of not less than eight days), but he hoped for a son-in-law, preferably of Swiss extraction, to whom he might, in his old age, hand over the lucrative profession of deferentially skinning the wealthy Englishman. And now Tina had deliberately chosen a reckless, unstable Italian who would, in a short time, scatter to the winds the careful accumulation of years. "Pietro, the scoundrel, will not have one piastra of my money," cried the old man wrathfully, dropping into Italian as he was speaking about a native of Italy. "No, I shall see that he doesn't," said the girl. "I shall hold the purse, and he must earn what he spends." "But if you marry him, you will not have any of it." I love the short stories of revenge. I think we have all been there at one time or another. I love how this author captures my attention in each story. 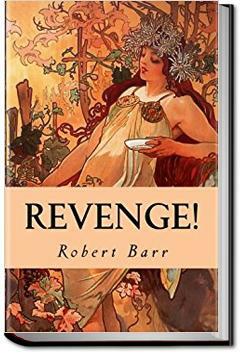 Short stories with a theme of revenge. These stories present different kinds of revenge, often with irony. They remind me of O. Henry's stories in their surprise endings. Interesting mysteries with romantic & other twists. All chapters are short but complete tales. Some are simply absorbing. Well narrated by Roger Melin (his usual). Nothing offensive - it's a little-known and underrated classic. Recommended.